(LANHAM, Md.) – Data Solutions & Technology Incorporated (DST) announced today that it was appraised at the Software Engineering Institute’s Capability Maturity Model® Integration for Services (CMMI-SVC) Maturity Level 3. CMMI-SVC is a process improvement approach developed from industry’s best practices specifically targeted toward service organizations. The CMMI Maturity Level 3 rating is an independent validation that DST has established effective, well-defined organizational standards and documented processes in its delivery of services. This rating indicates repeatability, predictability and consistency in performance. As of September 9, 2011, DST is one of only 40 companies worldwide that is appraised at CMMI-SVC Maturity Level 3 and one of 9 companies that has included the service system development (SSD) process area in its appraisal. The Standard CMM-Integration Appraisal Method for Process Improvement (SCAMPI) Class A is a rigorous appraisal. The appraisal team examined 19 process areas that encompassed program management, human capital management, contracts administration, business development, and quality assurance. They determined that the practices employed by DST successfully met or exceeded the goals and intentions of the CMMI model for services. 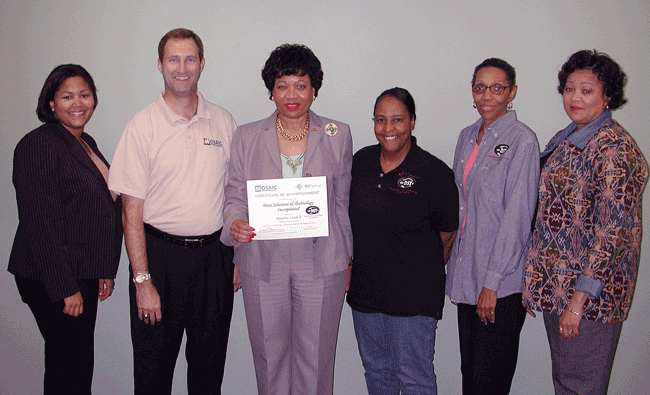 The DST SCAMPI Appraisal team included Rita Kerrick, Lynette Jones and Cassandra Duncan. The SEI certified SCAMPI Lead Appraiser was David Quinn of MOSAIC Technologies Group, Inc.
Benefits of implementing CMMI process improvements include: improved quality, improved cycle time, increased productivity, increased return on investment, increased customer satisfaction, improved schedule and project budget predictability. “This achievement demonstrates DST’s continued commitment to providing high quality solutions and services to our customers and it builds on the company’s previous success in achieving ISO 9001:2008 certification,” stated Quality Manager Jeanine Stallworth. The Software Engineering Institute (SEI) is a federally funded (US DoD) research and development center (FFRDC) operated by Carnegie Mellon University in Pittsburgh, with a vision to improve software and systems development into a well disciplined and systematic approach from an ad hoc and labor intensive approach. Toward this SEI owns and develops Capability Maturity Models (CMM) and Capability Maturity Model® Integration (CMMI) which are accumulations of best practices from industry that help organizations to achieve better processes for high quality product delivery capability. Capability Maturity Model (CMM) and CMMI are registered in the US Patents and Trademarks Office by Carnegie Mellon. SEI is a service mark of Carnegie Mellon University. For more information, visit the SEI website at www.sei.cmu.edu.